I’ve got 99 apps and I only need ONE! That’s right, folks. I have 99 apps on my phone and sometimes it feels like I only use one of them. But why am I counting my apps? It all started when I was waiting to board my flight and I noticed complete silence in the entire boarding area. That’s right–no one talking in line or even looking up at the counter. Everyone was intensely looking at their phones, furiously moving their fingers. Some super stressed, others intensely zoned in, and the remaining chuckling quietly at their screens. While they were all doing different things, one thing was very clear: their behavior at that point in time stemmed from a mobile app. The reality is that there are over two million apps out there, in both Google Play and the Apple App Store, and a Nielsen report found that nearly 70% of total usage comes from the top 200 apps! Every app is vying to be in that top 200. So the big question is, how can they get there? 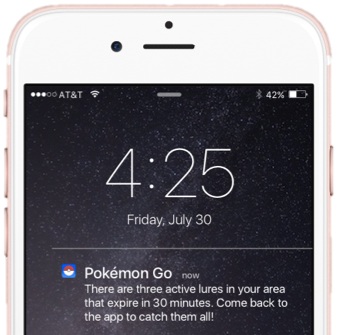 Through my research, I learned a little something about mobile marketing from some of my fondest friends–Kim Kardashian, Pokemon, and birds. Okay, so they aren’t actually my friends, but sometimes it sure feels like it. The one thing they all have in common, aside from being commonly used apps in my phone (keep that between us), is that they are amongst the top 200 apps and still continue to gain new downloads daily. Understand what your prospects, customers, and competitors are doing. Define the product-market fit. 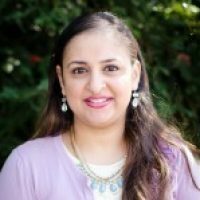 Investigate your target market and document use cases, requirements, and potential shortcomings. Identify your target audience’s characteristics at every level (e.g. age, gender, likes, dislikes, hobbies, buyer characteristics). 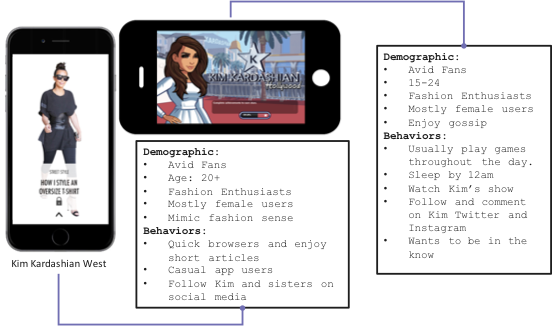 As you can see below, Kim has many fans, and both of her apps target a similar audience with some distinct preferences. Once you’ve built your app with your brand and audience in mind, it’s time to engage your audience on a regular basis. Apps that stimulate curiosity and actions typically create excitement from its users. Stay user and context relevant. With every action, take user interactions into consideration. Make the experience seamless–a natural extension of the app. Sync the timing of the message with the context. Personalize the message to be relevant. Address users with their name using tokens. Use location-based triggers, but don’t freak them out! They should guide your users, not stalk them. Find the right time and frequency to send messages. Don’t wake people up with your messages and don’t over do it! This is their most personal device, so be kind and considerate. Since their launch in July, Pokemon Go has been building up a strong user base. Their success should be attributed to not only focus on growing their user base but also strengthening the core app experience–leading me to the next lesson I learned about satisfying your existing users. Your early customers are your biggest advocates and will always be your most valuable customers. While there might be different use cases and audiences you want to capture, never forget about continuing to deliver to your loyal user base. Angry Birds has generated over 2 billion downloads and has 16 iterations of their initial app. Yet, the creators of Angry Birds remain loyal to their core tenets, which Cleverism identifies as simplicity, responsiveness, mystery, casual, and attuned to the senses. What do these mean for your app? Build your app not just to capture additional market share but to appease the existing market as well. Create a network effect that will further anchor each user into the app, integrating the experience into their everyday lives. Do not use mobile as your only channel. 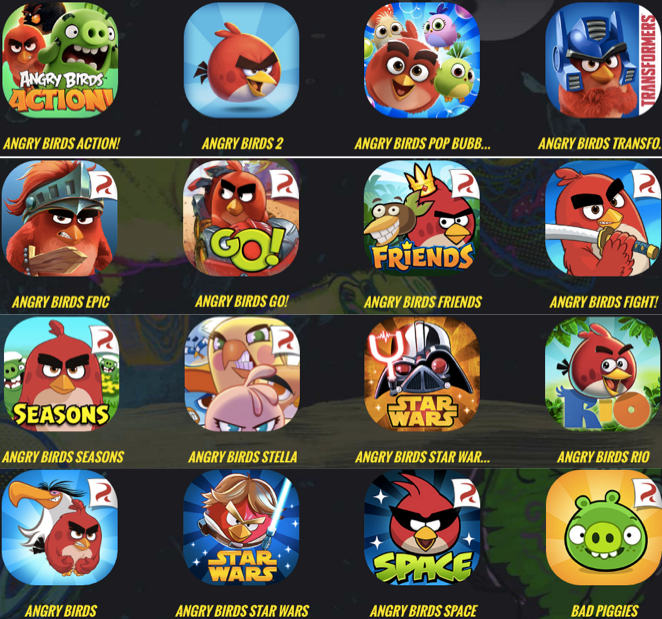 Angry Birds has expanded to retail, media entertainment, and more. Broaden your thinking outside of just one product. Another key piece in building a brand (lesson #1 above). Market your products across channels to ensure multiple touch points and reminders. Build your audience and focus on your fans. I often say that marketers are psychologists because they need to get into their audience’s brains. Angry Birds does exactly that when building and developing the right experience for everyone, especially their loyal base. Build an app that is memorable and appealing enough for new users to download and your loyal user base to share. What do Kim Kardashian, Pokemon, and birds have in common? Not very much, but when it comes to mobile apps, these three are great examples of marketing that builds your brand, engages your audience, and retains your loyal users. Now it’s your turn! What are your favorite apps on your phone and what lessons can you learn about marketing from them? Share in the comments below.